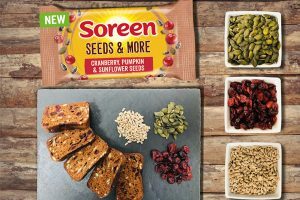 Family snacking brand Heavenly has announced the expansion of its current range with the introduction of new smaller pack sizes, as well as a new sub-brand for its 12+ months snacks range. Having successfully launched the new Corn Puffs that landed on Ocado in January, the brand is introducing Mini Biscuits from 12+ months, a naturally sweetened wholegrain biscuit available in apple or strawberry flavour. The alphabet themed treats are portioned in 30g packs. The biscuits will sit alongside the brands other new product, heart-shaped Corn Puffs. Also suitable from 12+ months the corn-based snack is blended with two flavours: sweet potato & carrot and apple & strawberry. 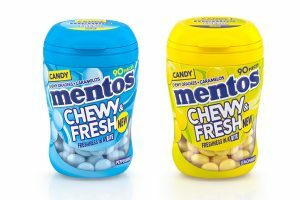 The flavoured snacks will be sold in 15g portioned packs. 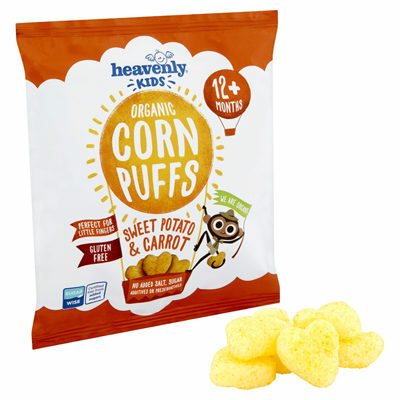 According to Heavenly, both contain 100% natural and organic ingredients, with no added salt and sugar, and both will sit within the brands new ‘Heavenly Kids’ collection. 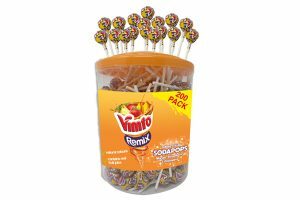 Wafer Wisps: available in individually wrapped 14g packs. Veggie Waffles: crispy waffles packed with 40% organic veggies will now be sold in a smaller 10g pack. Italian breadsticks: in both original and Rosemary flavours available in smaller 30g packs. Speaking about the recent developments, founder of Heavenly, Shauna McCarney-Blair, says, “With the original products going from strength to strength we knew we wanted to create some more health conscious delicious snacks for young families. We are thrilled with the final results and look forward to the year ahead. “The re-brand was a natural development for us. As our loyal consumers are growing up – so are we. With a more playful and adventurous design Heavenly Kids will target the toddlers and older children up to five years. All five new products are available in Ocado, Boots ROI, Tesco ROI, Supervalu NI, NISA and Morrisons stores.